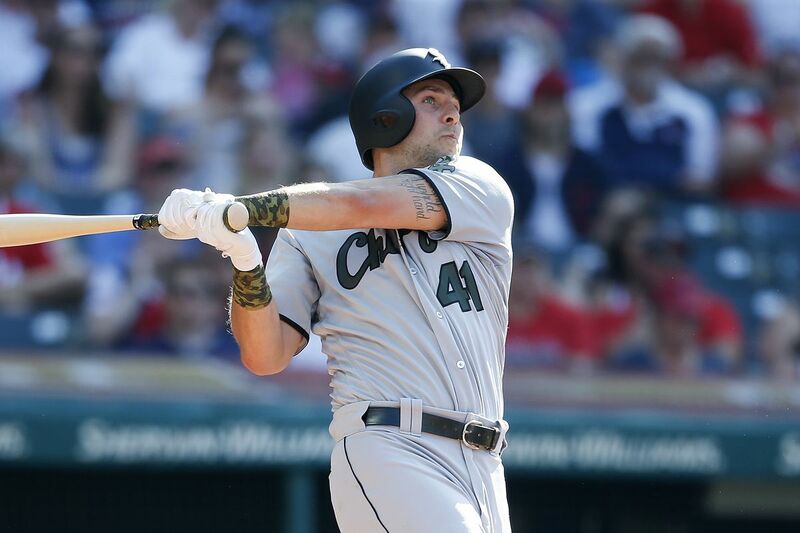 Memorial Day Masher: Matt Skole had a pretty successful cup of coffee with the White Sox last May, which he hopes to parlay into another shot at the majors, after becoming a minor league free agent. Minor league free agency, for obvious reasons, doesn’t carry the same meaning as major League free agency. Most signings are so under the radar that even the most up-to-date technological devices would have difficulty tracking them. After all, most players signed won’t ever get the opportunity to play for a big-league club, and if they do, they’re up for mere cups of coffee. And yet, minor leaguers are the backbone of professional baseball. It’s an opportunity for a team to give a diamond in the rough a new opportunity, under different tutelage. Perhaps the player may have hit hard times due to injuries, or may be better suited for a different role (e.g. shifting to relief pitching, instead of starting). When minor leaguers are either injured for a long duration or leave via free agency, the team needs to occupy those vacated spots as efficiently as possible. As an adjunct to the second point, if a team is particularly weak at a position, signing a free agent would help prevent rushing younger minor leaguers through the system. For example, with the White Sox trading Justin Yurchak to the Dodgers, the White Sox will conceivably have an unfilled first base spot in Winston-Salem; it may behoove the White Sox to sign a minor league free agent, instead of rushing Corey Zangari, when he only had two plate appearances in Kannapolis last year. Brennan, a fourth-round pick from the 2012 MLB Draft, actually had a good season for Birmingham and Charlotte. Combined in 44 relief outings covering 74 2⁄3 innings, he posted a 3.25 ERA and 1.08 WHIP, allowing just 24 hits and striking out 79. Most of his season was spent at Birmingham. Despite a good year in Charlotte, slashing .289/.397/.359 with nearly as many walks (55) as strikeouts (58), Elmore didn’t make it to the majors. Why? Well, it’s primarily due to Yoán Moncada’s health, and José Rondón’s rise. Elmore has played for five teams in the majors (the Arizona Diamondbacks, Houston, Cincinnati Reds, Tampa Bay Rays and Milwaukee Brewers), and will look to add a sixth MLB franchise next year. The utility infielder combined with Birmingham and Charlotte to hit .250/.352/.327 in 284 at-bats, with two homers, 28 RBIs, 34 walks (10.27%) and 77 strikeouts (23.26%). With a multitude of versatile infielders for the 2019 squad (i.e. Danny Mendick, Eddy Alvarez, Trey Michalczewski, and even Mitch Roman), Flete’s inclusion in the White Sox system seemed relatively superfluous. His free agency now means that three players are left from the Jose Quintana trade with the Chicago Cubs: Eloy Jiménez, Dylan Cease, and Matt Rose. Garneau was 1-for-2 in a cup of coffee with the White Sox in 2018, promoted when Kevan Smith was placed on paternity leave. He was claimed from the Oakland A’s via waivers on May 24, and managed to slash a respectable .252/.340/.468 for Charlotte. With Seby Zavala and Zack Collins expected to handle backstop duties in 2019, there isn’t any role for Garneau in the Sox organization. Infante was one of the stories of the 2017 season, as he toiled in the minors for 10 years between major league stints, before finally succeeding with a 3.13 ERA and 1.19 WHIP with the White Sox. However, 2018 wasn’t quite so kind. In 10 outings totaling nine innings with the big club, Infante struggled to an 8.00 ERA and 2.22 WHIP, walking eight while striking out six. He pitched creditably for Charlotte after his demotion, with a 4.32 ERA and 1.18 WHIP in 44 outings, but it wasn’t enough for him to receive another ticket to Chicago. LaMarre was designated for assignment by the Minnesota Twins on July 2, and he did quite well as a reserve outfielder for the White Sox after he was picked up: In 33 games, LaMarre managed to slash .303/.324/.485 in 99 at-bats, with two homers, 10 RBIs, two walks (2.82%) and 20 strikeouts (28.17%). LaMarre opted for free agency when the White Sox removed him from the 40-man roster. While the possibility remains that he could return to the Sox via a minor league deal, it’s expected that he’d sign with another organization instead. Leonard signed with the White Sox last offseason, after spending six years in the Kansas City Royals and Rays organizations. At the time, there was some hope he could eventually find some playing time with Chicago. However, with Charlotte, Leonard simply didn’t force the issue. For the year, he hit .242/.315/.395, with 29 doubles, 11 homers, 50 RBIs, 43 walks (8.96%) and 145 strikeouts (30.21%) in 430 at-bats. The White Sox acquired Pinto from the Philadelphia Phillies on March 28, for international bonus pool money. Despite the success the White Sox have attained in making similar such moves, this one unfortunately fell flat. Pinto split his time with Winston-Salem and Charlotte, combining for a 5.95 ERA and 1.71 WHIP over 64.1 innings, allowing 81 hits and walking 30 while striking out just 46 hitters. Skole was in the Washington Nationals organization from 2009-17, never tasting the majors, and he signed a minor league deal with the White Sox last November. After a hot start this year, Skole finally received his first major league call-up with the White Sox on May 28 — getting three hits (one homer) in 11 at-bats during his one-week stay. Upon his return to Charlotte, his numbers fell to .237/.336/.404 in 431 at-bats, with 14 homers, 44 RBIs, 61 walks (12.20%) and 125 strikeouts (25.00%). Signed as a minor league free agent from Tampa Bay, Tomshaw had a difficult season split with Birmingham and Charlotte. With both teams, he combined for a 5.75 ERA and 1.54 WHIP, allowing 200 hits and 29 walks and striking out 118 in 148 2⁄3 innings. Thompson would likely be the first to say he had a miserable year. He was let go by four separate teams (Los Angeles Dodgers, New York Yankees, Athletics and White Sox). In the majors this year, Thompson slashed a miniscule .117/.162/.211 in 128 at-bats (121 with the Sox), with three homers, nine RBIs, seven walks (5.11%) and 50 strikeouts (36.50%). His numbers weren’t especially great in Charlotte, either. Here’s hoping this second round pick from the 2009 MLB draft will get another chance with a different organization. Watson was traded from the Atlanta Braves to the White Sox on September 2, subsequently pitching a scoreless inning of relief before the Knights season ended. In pitching for minor league teams representing three organizations (Seattle Mariners, Braves and White Sox), he produced a 4.35 ERA and 1.30 WHIP in 39 innings, while allowing just 48 hits. He walked just three hitters, while striking out 43. Watson seems like an intriguing arm, but his one-inning stint with Charlotte was the first time Watson pitched above A+ ball. Wojciechowski was released by the Orioles in July, and the White Sox promptly signed him for organizational depth. Despite a reasonably successful season for AAA Norfolk, he struggled badly with Charlott — to the tune of a 7.01 ERA. The ERA was much higher than his 1.30 WHIP would indicate. In 34 2⁄3 innings, Wojciechowski allowed 40 hits and just five walks while striking out 37. He has a small amount of major league experience, pitching for the Astros and Reds in 2015 and 2017, respectively. Barnum was a first-round compensation pick (48th overall) from the Florida Marlins after the White Sox lost Mark Buehrle via free agency. This year, Barnum slashed .202/.236/.404, with 15 homers, 44 RBIs, 10 walks (3.52%) and 96 strikeouts (33.80%) in 272 at-bats. It was a disappointing end to a disappointing White Sox career. Montilla has been on the Barons roster for the past two years, but had only one rehab at-bat (a strikeout) in 2017 to show for it. Due to a combination of injuries and age, his leaving the organization comes as no surprise. Polo struggled with injuries for nearly the entire 2018 season. While in a Barons uniform, he slashed just .245/.313/.337 in 163 at-bats, with one homer, eight RBIs, 12 walks (6.63%) and 34 strikeouts (18.78%) while stealing 15 bases. The White Sox may have a backlog of outfielders as the rosters now stand in Charlotte and Birmingham this year (Jiménez, Luis Basabe, Ryan Cordell, Charlie Tilson, Alex Call, Micker Adolfo, Joel Booker, Luis Gonzalez, Blake Rutherford and perhaps Luis Robert), so Polo entering free agency isn’t a huge surprise. Provided he signs elsewhere, this means the White Sox would have just two players left (Rutherford and Ian Clarkin) in the blockbuster trade made last season with the New York Yankees for David Robertson, Tommy Kahnle and Todd Frazier. Peralta, a native of the Dominican Republic, received a signing bonus of $200,000 from the White Sox in 2012. However, in his six years in the organization, he’s only been able to advance as far as A+ Winston-Salem. This year, combined with Kannapolis and Winston-Salem, he managed a 3.86 ERA and 1.46 WHIP while allowing 21 hits and 13 walks in 23 innings; he fared far worse, however, with the Dash. He was placed on the DL on June 5, but never returned. Kapstein was signed to minor league deals in the past couple of seasons, but couldn’t recover from injuries while playing for the Baltimore Orioles organization in 2016. He didn’t play in the two years he was with the White Sox. The second part of this story (and hopefully, an even more intriguing one) involves the minor leaguers released from other organizations who the White Sox are now able to add to their system. A snapshot of players that may fill in gaps for the White Sox is coming up tomorrow, so stay tuned. Time for the Rule of Three to reign?